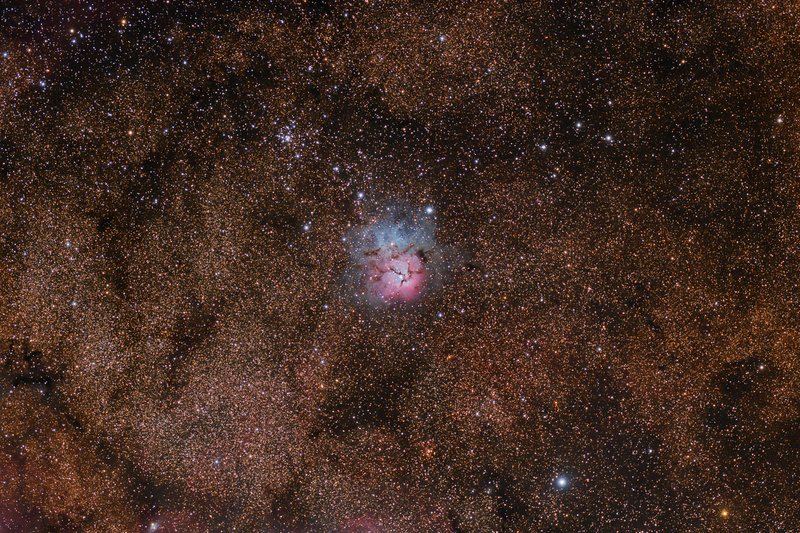 The Trifid Nebula (catalogued as Messier 20) is a prominent H II region located in constellation Sagittarius. Its name means 'divided into three lobes'. The object is an unusual combination of an open star cluster, an emission nebula (the lower, red portion), a reflection nebula (the upper, blue portion) and a dark nebula (the apparent 'gaps' within the emission nebula).